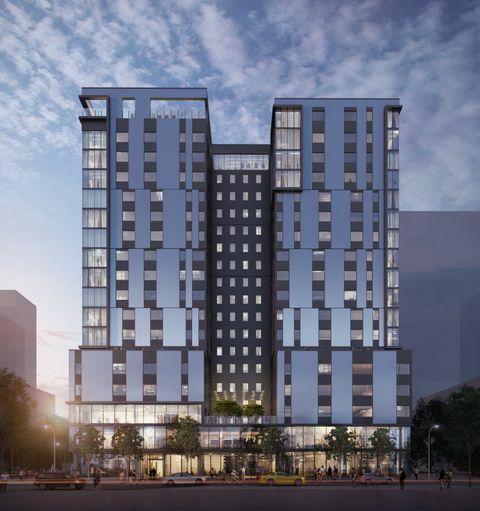 An 18 story student housing project located one block from the University of Texas at Austin in the West Campus neighborhood, This development will boast 166 units (567 beds), creative learning floor, health & wellness floor, a rooftop pool and gym. The yet to be named development has a delivery date of July 2020. 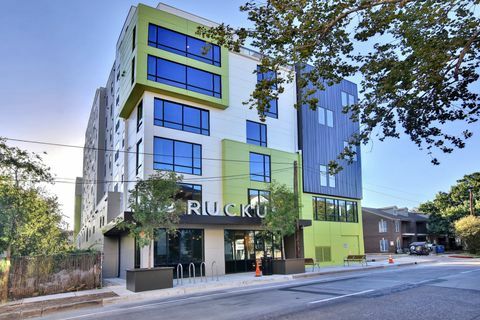 The Ruckus 2.0 is a 7 story student housing project located at the popular intersection of 24th and Rio Grande, in the student rich "West Campus" neighborhood at UT, Austin. 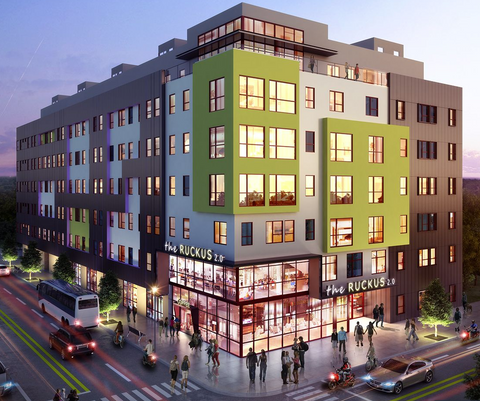 The Ruckus 2.0 will boast 67 units (239 beds) with modern amenities and finish-outs and will feature underground gated parking, secure access, a rooftop terrace, a cyber cafe, sky gym, and study lounges. Further the Ruckus 2.0 is prominently located within UT's Greek Row and provides immediate access to the "Drag." The Ruckus will open August 2019. The Ruckus is a 7 story student housing project located 2 blocks West of the the University of Texas, Austin in the student rich "West Campus" neighborhood. 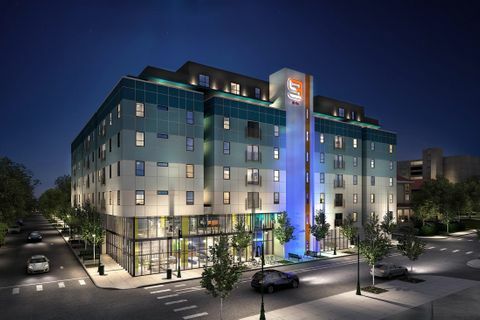 The Ruckus will boast 46 units (167 beds) with modern amenities and finish-outs and will feature underground gated parking, secure access, a rooftop terrace, a cyber cafe, sky gym, study lounges and Google Fiber. Further the Ruckus is prominently located within UT's Greek Row and provides immediate access to the "Drag." The Ruckus opened in August 2017. The Nine is a 7 story, 109 unit (347 bed) luxury student housing building located in the West Campus submarket at the University of Texas, Austin. Located prominently within an eclectic mix of student housing and student oriented retail sites, the site’s location provides unparalleled access to campus and non-campus activities. The Nine is scheduled to open August 2019. 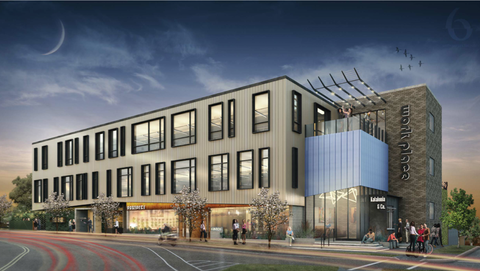 A 24,000 mixed-use site located in East Austin, the project will provide creative office space, a first floor restaurant concept and underground parking. The Project, which was scheduled to break ground in Fall of 2016, was sold to a developer during the entitlement phase with the City of Austin. 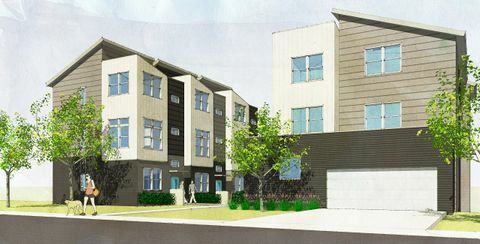 Elmwood is a 6 Units - 26 Bed Student Housing Project located 1 Block North of The University of Texas. The property was fully Pre-Leased prior to breaking ground. This unique student housing project was completed in August 2015, and continues to be a favorite housing option for UT Students today. 2815 Manor is a 22,000 SF creative office building located within East Austin's Manor Entertainment District. 2803 Manor is Creative Office Space in East Austin. The Pre Engineered Metal Building will feature 10,000 SF of Creative Office Space and will have an outdoor deck area and 18' FT Ceilings to provide a unique creative office environment. 8 Track is a new restaurant concept that has opened in East Austin on Manor Road. The new concept will feature a 6,000 SF restaurant that will have a unique 2,000 SF outdoor covered patio. This is a unique adaptive re-use project of a former mechanic shop at this location. This is an adaptive re use project of existing structure that has 3 building components. The back portion of the existing structure was converted into a Gym & Yoga Center that is operated by Dane's Body Shop. 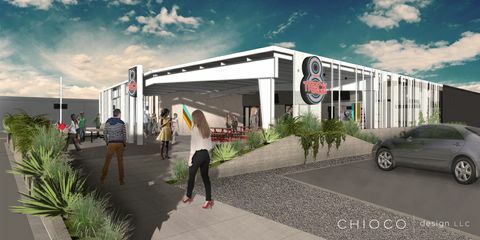 This will be the 2nd location in Austin for Dane's. The front portion of this structure is home to a new restaurant concept called Bird Bird Biscuit.